Young mummy of three Rhia, shares her experience of a year of bereavement since she lost her twins after the loss of her daughter Airley. My Freddy and Thomas, a year is nothing and everything to us. Does a year mean further apart or closer together? In a year I still haven’t decided where I think you are or if you are with your sister. And I’m not sure I want the answer. There is so much I wish I knew the answers to. But I hope you know how proud of each of you I am. I hope you know the places we’ve said your names this year and what you have inspired. Thank you my beautiful twins, forever each other’s. I’m not sure it can be true. I have double checked dates, checked my own records in disbelief and even counted the days on a calendar. A year, each time, was still the answer. A year ,it feels like it could have been, and impossible. I don’t want it to be a year. If it was possible to freeze time I would be first in the queue. I feel speechless, what am I meant to say? How am I meant to feel? What do people who have never lost a child think a year means or feels like? A year on do people even remember what happened or their names, a year on is people’s understanding gone? A year seems such a cruel measurement of time. How do you find the words to say “A year ago today, my twins died”? Can I even say it out loud? A year. I think I have been in disbelief, maybe even a little ignorant, that this milestone would come, as stupid as it sounds. But how can you look so far into the future when your child has died. How can you believe or imagine, that you can live on a year with the most important part of your life missing? Nor am I in a place with my grief, where I can look more than a few days or weeks ahead. How can you plan, when you have faced the ultimate uncertainty of will my child be born alive? I knew when I lost my twins that this was a natural part of grief, but I wish someone had told me how long it would last. A year means something different, something new, a year of bereavement, not a first birthday for two but the first anniversary of their death. A year means it all really happened and a year means a realisation that time is always going to tick on and I will never be this close to them again or the me I was when I had them. I still find it strange the measurements that grief brings. I think it’s a moment of reality that hits every newly bereaved parent, fresh in the days when surviving day by day is all you can focus on. I remember how I got through those days with another bereaved mum. We’d text each other when we had brushed our teeth in the morning and at night, marking that we had made it through another day. A tiny win and sometimes on the harder days of grief, now one or the other still sends those little texts. That’s the thing with child loss, it never truly leaves you. Which inevitably means the question of am I thriving or just surviving is never far away. I wish I had accepted or known sooner that getting over the death of my children was something that was never going to happen or meant to. However, a year on how are you meant to measure how you are doing? Am I grieving enough? Am I grieving too much? Have I grieved? Am I enough for my children? 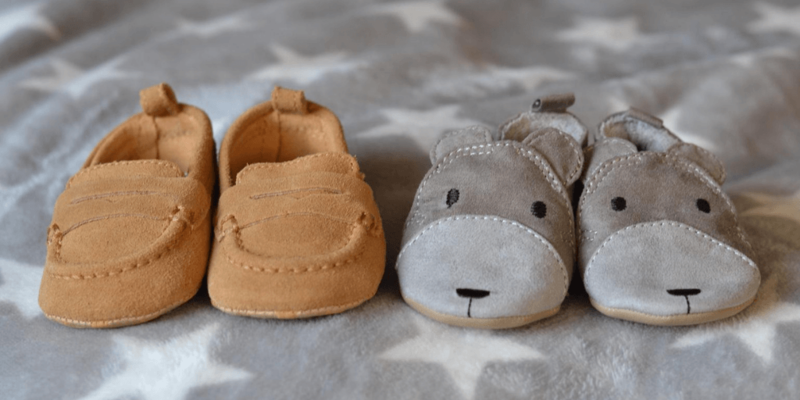 Do I do enough for my twins, enough to acknowledge my daughter or that she is a big sister? Am I raising enough awareness about child death as a young parent? Do I say my twins’ names enough or do enough to ensure they are still two little people in their own right? Do I include them enough in my life? Am I doing enough to ensure I never forget? The questions are limitless. Although I had already lost my daughter, there is still so much I wish I had known a year ago. So much I wish someone had told me or even someone else had written a blog about. So much I needed to see or hear from someone else to know I wasn’t crazy. A year on, in so many ways I still feel the same. My heart is still broken. Forever will there be parts missing, every day I miss my twins and just like my daughter, every day I think of them. A year is still so early in grief and although I do have a sense of what now. I can say that a year on I do feel like I have in some way begun to move forward, not on. And found a way to be ‘okay’ with what has happened and found a little hope for the future. And I think I am beginning to understand what people meant when they said I would be okay, in those early days. I guess we all get there, to whatever, whatever time frame on is there for us. You can read and watch more blogs and vlogs from young parents on our website. We upload new vlogs each week on our YouTube channel.